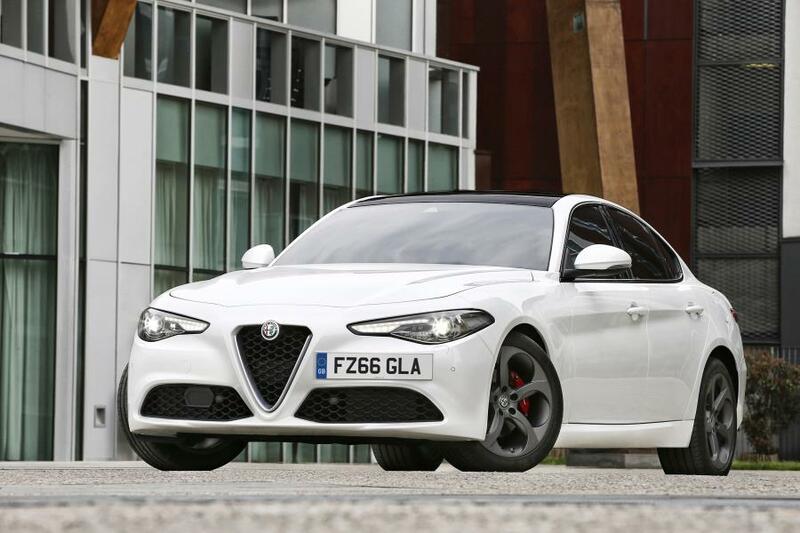 This is the stylish new Alfa Romeo Giulia which is available to order now with deliveries starting in November. The entry-level model is priced at £29,180 OTR and features a new rear wheel drive setup to deliver better power delivery and performance which is helped with perfect 50-50 weight distribution. There’s also a new innovative engine and more driver technologies. The Alfa Romeo Giulia is also a safe choice and has been awarded five stars by Euro NCAP which is down to its excellent active safety systems which will be fitted as standard for the new car’s five trims. 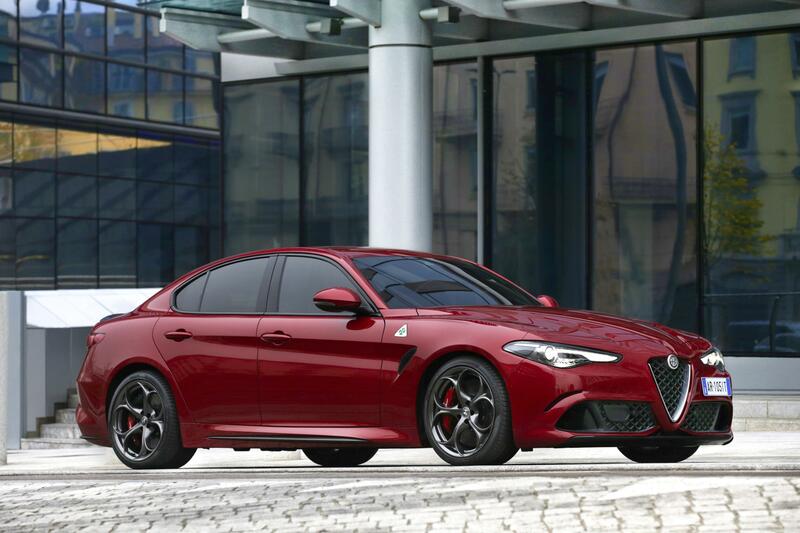 For those who like an Alfa with performance, the Giulia Quadrifoglio will reach 62 mph in less than four seconds. Of the engines, owners have a choice of two petrol and two diesel units which are coupled to a new eight speed automatic gearbox as standard. 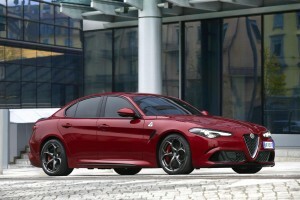 Of these, there’s a new twin turbocharged V6 petrol unit for the Alfa Romeo Giulia Quadrifoglio that will produce 510 bhp and it is mated to an eight speed paddle shift automatic gearbox with a chassis domain control system, a first for Alfa, though this car has a price tag of £59,000 – placing it in M3 territory. There’s plenty of kit on board with the entry level model having autonomous emergency braking with forward collision warning and there’s also pedestrian recognition, lane departure warning and an integrated braking system. There’s also dual zone climate control, the firm’s infotainment system with Bluetooth connectivity and DAB radio, cruise control, rear parking sensors and an eight speaker audio system. One of the reasons the Alfa Romeo Giulia picked up five stars when crash tested, is down to the 98% of crash protection for adult occupants which is the highest score recorded by a car in the test. There’s already a lot of interest in the Giulia from potential owners and it looks like Alfa may have created something that will give the BMW 3 Series a run for its money. This entry was posted in Car Leasing, Cars, Executive Cars, New Cars and tagged Alfa Romeo Giulia by Steve Lumley. Bookmark the permalink.